A frozen shoulder is one of those things that you might occasionally hear about, but never really consider or stress about…. until it happens. 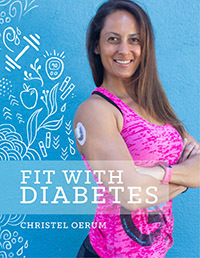 It’s unfortunately not an uncommon issue for people living with diabetes. According to the American Diabetes Association, 10-20% of individuals with diabetes will get a frozen shoulder in their lifetime, relative to the 2-5% of the general population who will experience it. In this post, I will cover how to diagnose a frozen shoulder, how to prevent or treat it, and what not to do if you have a frozen shoulder. The fancy term for frozen shoulder is “adhesive capsulitis”, and it’s one of those conditions that develop gradually over time. This makes it harder to spot, as opposed to an acute injury that happens all of a sudden. By frozen, we are talking that you can’t raise your arm over your head, and in some cases, even to shoulder height. Any movement may cause a great deal of pain. At first, it’s just annoying. With time, however, daily living skills, like getting dressed or taking a shower, can become compromised. While the true link between diabetes and frozen shoulder has not been explicitly identified, research has shown that it is likely due to high blood sugars forming what is known as advanced glycosylation end products (AGEs). These AGEs latch on to your tendons and ligaments, making them stiffer and weaker, and ultimately induce inflammation. Combine this with impaired blood circulation due to the high blood sugars, and stiffness begins…eventually leading to immobility. 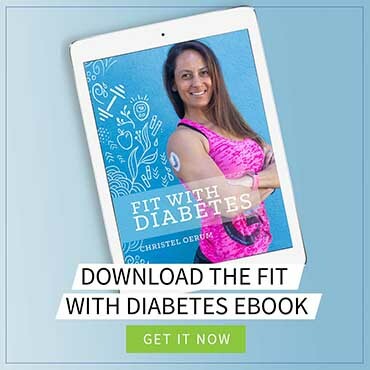 The older you are or the longer you have had diabetes, the higher your risk. People who are between the ages of 40 and 60 are more likely to experience frozen shoulder, and women are more at risk than men are. Frozen shoulder may be diagnosed from simply signs and symptoms alone. However, a physician normally makes the diagnosis by testing your active range of motion (by asking you to move your shoulder), as well as your passive range of motion (by moving your arm for you). Unfortunately, there is no guaranteed way to prevent frozen shoulder. However, remember that AGEs are what begin the progression, so maintaining as good blood sugars as possible is the best prevention! Good blood sugars = fewer AGEs = decreased risk of frozen shoulder. Beyond this, however, having a consistent stretching routine and physical activity routine is going to be CRITICAL to keeping your shoulder’s range of motion. Remember, while you cannot necessarily control if you will get frozen shoulder, you can set yourself up to be in as advantageous a position as possible. The first signs of a frozen shoulder can be so subtle that you may not even notice them so it’s important to be aware of any shoulder pain or stiffness that doesn’t go away by itself after a few days. Most frozen shoulders get better on their own eventually, but it can take a long time, and the shoulder will go through different stages of discomfort. The names of the three stages of frozen shoulder simulate that of water and cold temperatures: freezing, frozen, and thawing. The freezing stage typically lasts between six weeks and nine months and is accompanied by most shoulder movements causing pain and a restricted range of motion. The pain may be the worst at this time. The frozen stage is just as it sounds – the pain isn’t nearly as strong and you’re also not feeling it every time you move. However, your range of motion is still extremely limited, and this can last from four to six months. Finally, the sun comes out and begins the thawing stage, where range of motion improves, albeit gradually, over a period of six months to two years. Of course, most people will opt for non-operative treatments first, which includes physical therapy and non-steroidal anti-inflammatory medications (NSAIDs), like Ibuprofen. Some may also choose steroid injections to decrease joint pain and increase range of motion, but remember, with diabetes, these can cause very high blood sugars that can persist up to a week, so speak with your care team before deciding on this type of treatment. These measures should be effective for most people. However, if symptoms do not improve, more intensive methods, such as open capsular release or arthroscopic surgery (and accompanying physical therapy) become options. How to do it: Sit at a table, with your palm face down on the table. Bending at the waist, lean forward and slide your hand away from the body. Note: if this is too painful, start with the thumb towards the ceiling. How to do it: Standing up, place your hand on a table or counter with your body facing the counter. Let the palm rotate towards the thumb as you turn around to face away from your arm. End up with your palm towards the ceiling and your shoulder extended behind you. From here, squat until tightness is felt. Relax, and repeat. 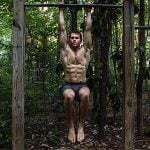 Since these exercises are at a low intensity, feel free to do sets of 10-20 reps, four to six times per day. Unlike typical exercise, which may involve high volume or high reps, treatment of frozen shoulder is focused on range of motion, so this is less important. Don’t forget: every person is different. If you are experiencing frozen shoulder, you should seek out a physical therapist for some exercises more specific to your situation, said Peitz. However, these two exercises are a good starting place. Don’t completely stop using your arm – Even though it may be painful, gently using your arm will help the healing process. Just be careful and don’t try to lift anything heavy. Don’t search for a “magic cure” – Frozen shoulder is a condition that takes time to get better. Unfortunately, many websites try to sell quick cures with medication or exercise programs. As far as we know, none of these work and a lot of them may be harmful. 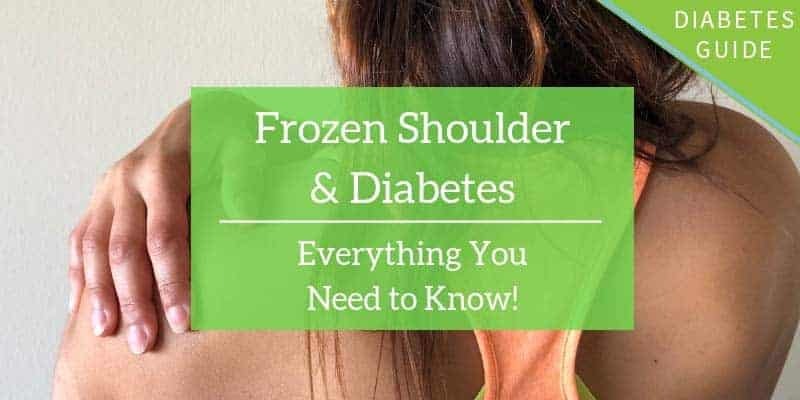 While frozen shoulders affect many people living with diabetes, you can do a lot to prevent or treat a frozen shoulder. Don’t use a shoulder sling or completely stop using your arm. A frozen shoulder can be painful and limit you in many of your daily activities, but the good news is that the condition almost always goes away eventually if you treat it right. This article was very helpful. I did have a frozen shoulder and had thawed thankfully. I was curious if this type of AGE glycation can happen in other areas of the body? For example the front hip/ groin area? Right side only. Thanks for any help.